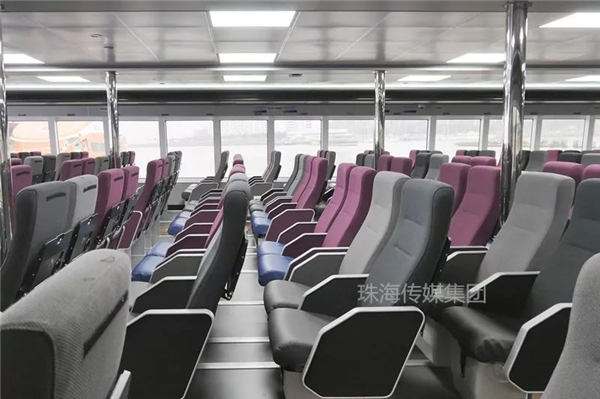 Xin Hai Tian, a spacious high-speed passenger catamaran that sails smoothly and has a 270-degree sea view, left Xiangzhou Port off Central Lovers Avenue on March 27 for its maiden intracity island tour. Designed by Dutch Coco Yachts, the 356-seat liner can reach up to 54 km (34 miles) per hour. 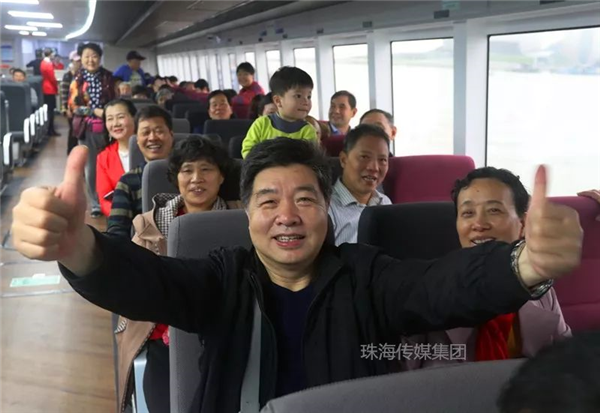 Aside from unparalleled passenger capacity, it is the fastest screw-propeller ship operated by Zhuhai Jiuzhou Holdings Group. An optimized cabin layout has two to three seats in a row, allowing more room for passengers. A favourably memorable on-board experience is rather ensured by adjustable leather seats, soft waist cushions, Wi-Fi access, and USB ports. Meanwhile, a wide body makes the liner more stable when encountering strong wind and waves, a primary concern for those subject to seasickness. 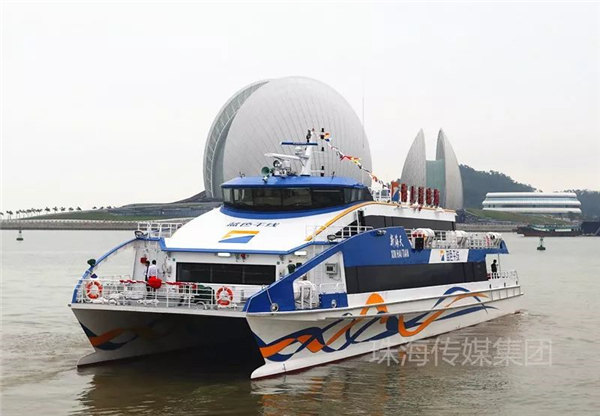 The Zhuhai Transport Bureau will increase the number of intracity island ferry routes from 42 to 60 during the peak tourism season starting in May. 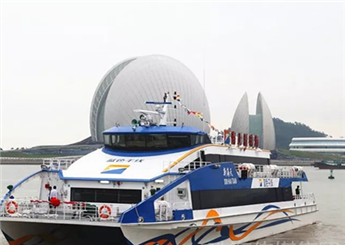 Zhuhai Jiuzhou Holdings Group also intends to launch new liners this summer. Since Jan 1, permanent island residents have been offered the same 50 percent discount on ship tickets as native islanders. 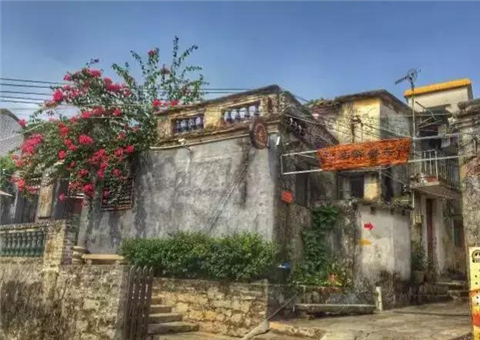 Those with a Zhuhai hukou (household registration status) can receive 20 percent off regular prices.